If you had previously requested an invite through their web page, you already know that the folks at OpenPhoto launched the Instagram image importer. Thanks to this new feature, you do not have to worry anymore about not being able to preserve your Instagram photos. The OpenPhoto importer uses your service of choice (Dropbox or Amazon S3) to store your precious images. 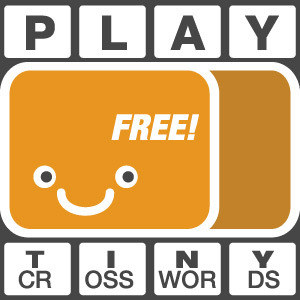 You can thus fully enjoy them as you prefer, also outside Instagram. Note that OpenPhoto has also similar features for photos that users shared on other networks, such as Flickr, Facebook and Picasa. 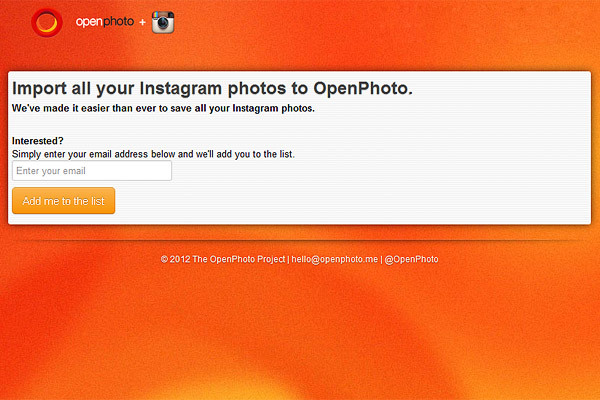 Using the Instagram importer is very easy: after signing in to OpenPhoto, you can request an invite from this page. After doing this, you will receive in your email a link with a code to make use of the feature. You just have to enter the code and grant permission to OpenPhoto to access all your Instagram information, while the importer will automatically fetch all the photos in your Instagram stream and have them uploaded to a storage service of your choice. The photos you import are kept in a separate gallery in your OpenPhoto account and it is possible to enable and disable the gallery’s privacy settings so that you alone can access the images. The OpenPhoto importer not only fetches the images from your Instagram, but it also retains all their original imformation and tags: no categorization or important detail is lost upon import and you can keep on browsing your photos as if they were in your Instagram stream. OpenPhoto for Instagram: request access page. Stream and gallery displays photos imported from Instagram in iPhone app. 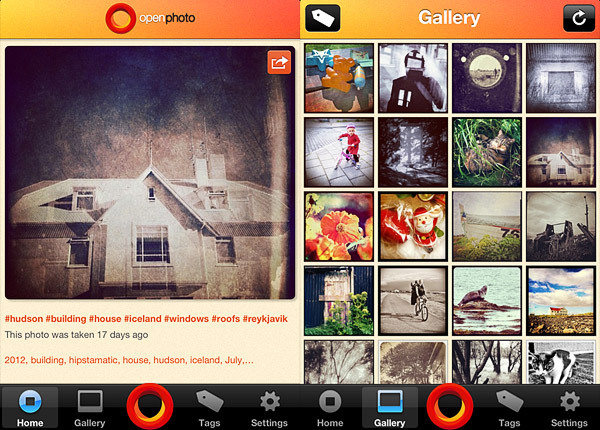 The iPhone app for OpenPhoto is available in the App Store. The app is free, but if you like you can also access your account via the OpenPhoto official site using your browser.